Q: Do I need a sail number for the GTYC fleet? A: Yes, it would be great if you had a sail number to set your boat apart if you choose to race with us. Talk to JO about getting a set of the physical sail numbers and how to install them -- he's happy to cut you a set for $5. Q: How do I make my boat go faster? A: Tuning! 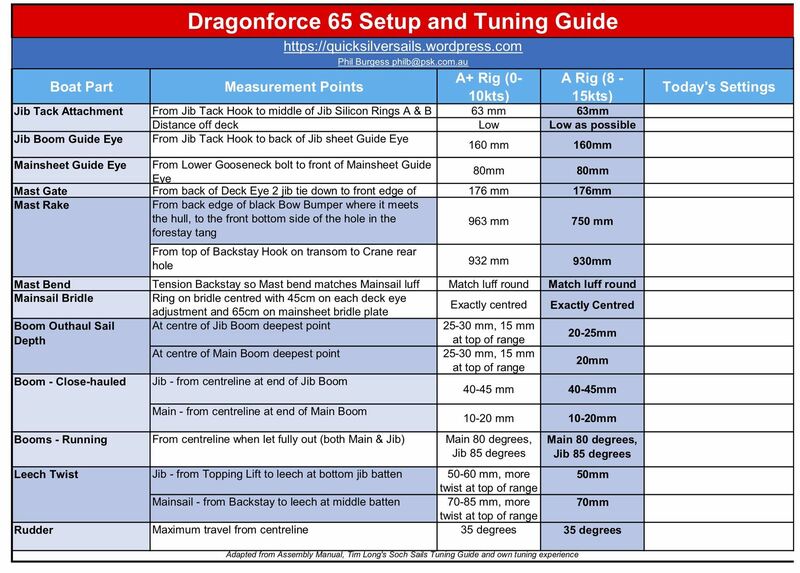 -- Below are a number of basic resources in regards to boat set-up & tuning, including the best of the basic videos of YouTube in regards to the DF65. Much of the expertise comes from Australian class guru Phil Burgess.